The new Aging Room by Rafael Nodal consists of three blends: Habano, Maduro and Connecticut. Big changes are coming to the Boutique Blends cigar portfolio. The company known for its Aging Room cigars is reorganizing its brands into four pillars and introducing five new cigars at next month’s International Premium Cigar & Pipe Retailers trade show in Las Vegas. Aging Room by Rafael Nodal: The company's core line of cigars, consisting of three new blends—Aging Room by Rafael Nodal Habano, Connecticut and Maduro. 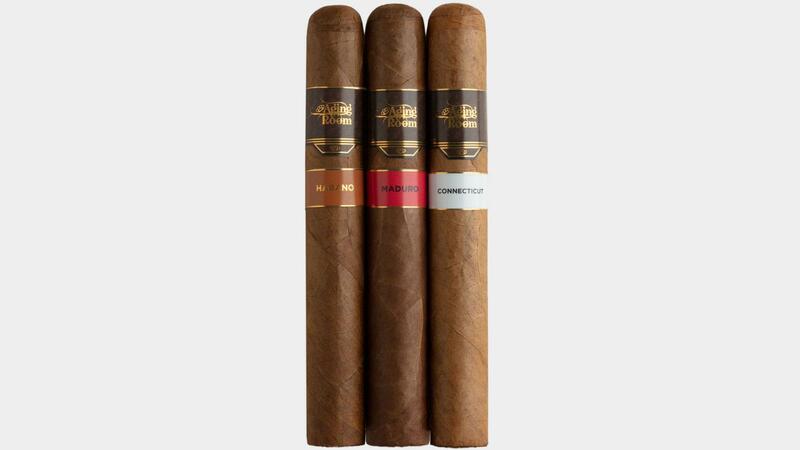 Aging Room by Rafael Nodal Quattro Series: This category includes the company’s popular Quattro line (originally called Quattro F55), now rebranded as Quattro Original, alongside Quattro Maduro (originally called Quattro F55M) and two new blends called Quattro Connecticut and Quattro Nicaragua. Aging Room by Rafael Nodal Specialty Line: A group of cigars that includes Aging Room brands such as “Bin No.1, Pelo de Oro, Pura Cepa and others that will be introduced later,” said Nodal. Aging Room Solera: A collection of four cigar brands, each named after a type of wrapper leaf—Dominican Sun Grown, Maduro, Corojo and Shade. Not every Boutique Blends cigar made it into one of the four categories. Some brands, such as Aging Room Quattro F59, will not be part of the company’s portfolio going forward. As for other popular Boutique Blends cigars such as Aging Room Small Batch M356ii, Romeo by Romeo y Julieta Aging Room and La Boheme, Nodal said that “right now we are concentrating on the Aging Room by Rafael Nodal core line, Quattro, the Specialty Line and Solera.” These three brands have each earned a spot on past Cigar Aficionado’s Top 25 Cigars of the Year lists. Concerning the new Aging Room by Rafael Nodal core brands, each blend features a different cover leaf over binder and filler tobacco from the Dominican Republic. Aging Room by Rafael Nodal Habano is draped in a Dominican Habano wrapper. The maduro offering is covered with a Nicaraguan wrapper and the Connecticut version is enrobed in an Ecuadoran Connecticut cover leaf. Aging Room by Rafael Nodal Connecticut ships in three sizes: Rapido, at 5 inches by 48 ring gauge; Vivase, 6 by 50; and Andante, 7 by 50. The cigars are priced $8.90 to $9.95. Aging Room by Rafael Maduro and Habano are both available in the same three sizes: Rondo, 5 by 50; Mezzo, 6 by 54; and Major, 6 1/2 by 60. The Maduro cigars are priced from $10 to $11. The Habano cigars are priced $8.90 to $9.95. All three versions are rolled at Jochy Blanco’s Tabacalera Palma in the Dominican Republic. As for the new Quattro versions, Aging Room by Rafael Nodal Quattro Connecticut is draped in an Ecuadoran Connecticut wrapper, with binder and filler tobacco from the Dominican Republic. The cigar is rolled at Tabacalera Palma in the Dominican Republic. Quattro Nicaragua is crafted with only Nicaraguan tobacco at cigarmaker A.J. Fernandez’s factory in Nicaragua. Both cigars are priced $10.20 to $10.65 and ship in the same four sizes: Espressivo, 5 by 50; Maestro, 6 by 52; Vibrato, 6 by 54; and Concerto 7 by 50. In addition to launching two new versions of Quattro, Nodal says he also updated the packaging for all the Quattro brands for consistency across the category. Boutique Blends and its Aging Room cigar lines are owned by Rafael Nodal, Nodal’s wife, Alina, and business partners Hank Bischoff and Jochy Blanco. The cigars are distributed by Altadis U.S.A., the premium cigar division of Tabacalera USA. In addition to his role at Boutique Blends, Nodal is head of product capability at Tabacalera USA. The new Aging Room portfolio will be on display at next month’s IPCPR trade show and will begin shipping to all retailers nationwide soon after.